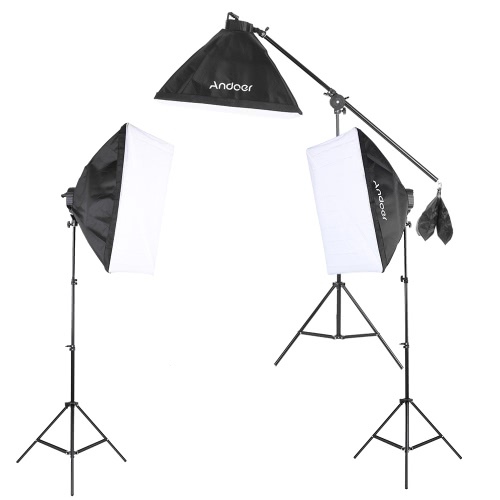 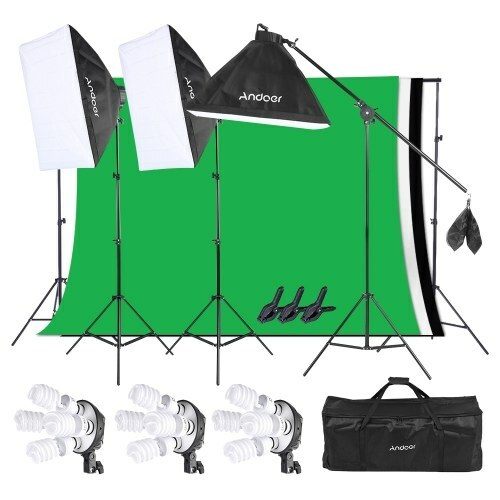 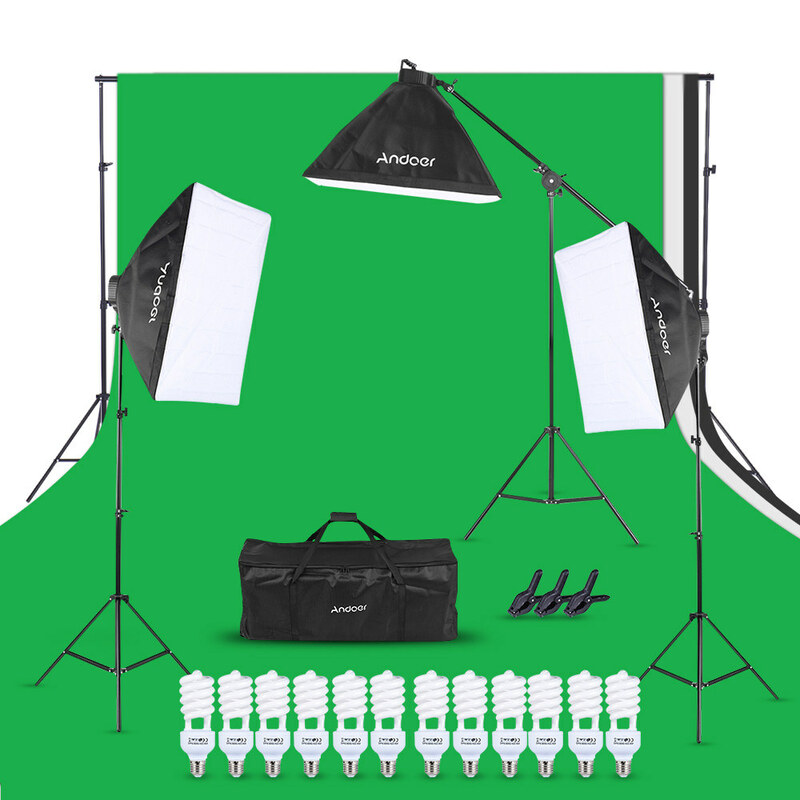 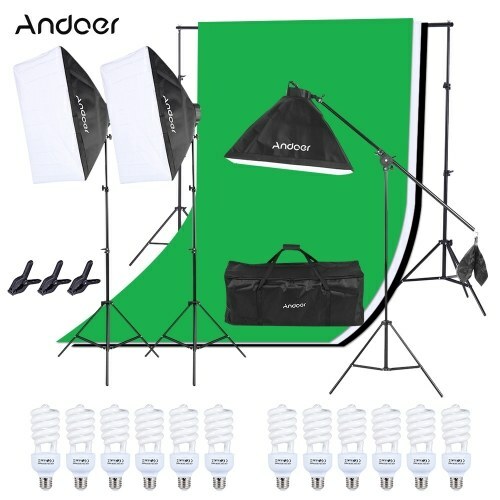 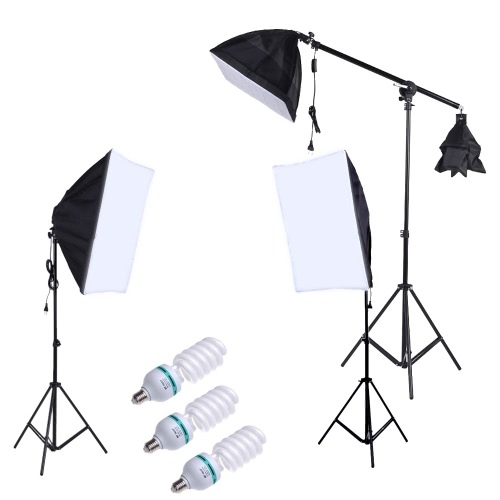 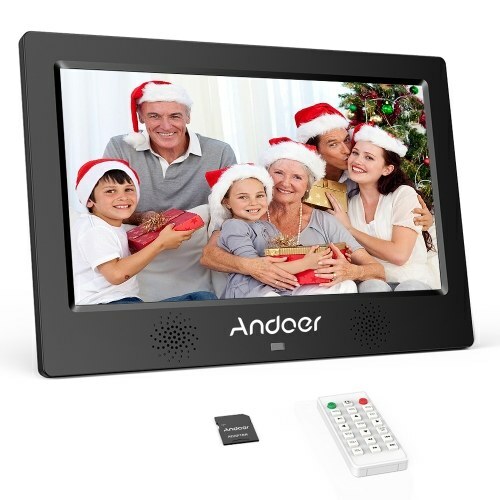 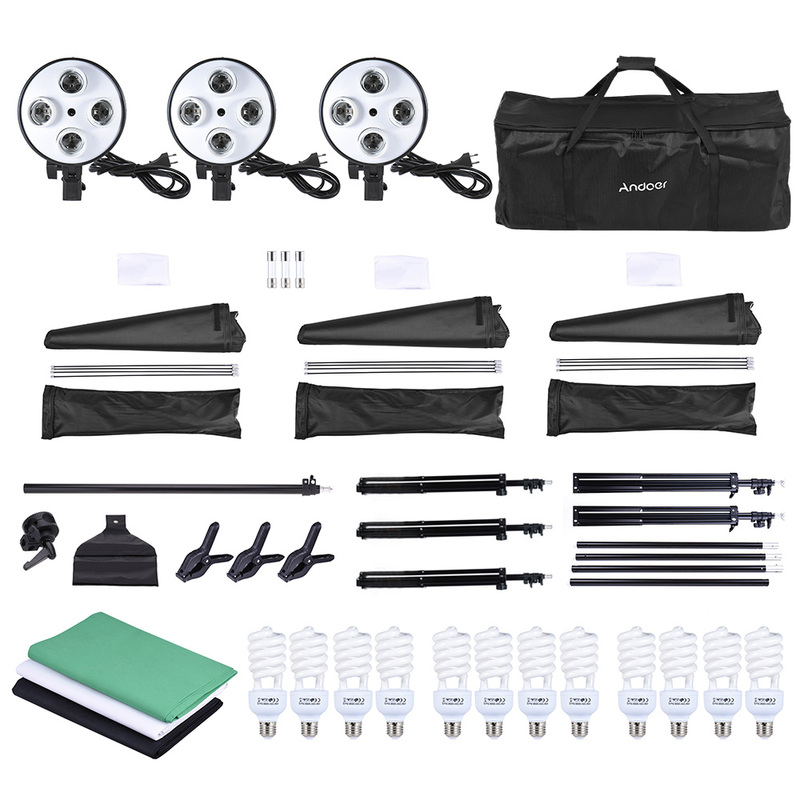 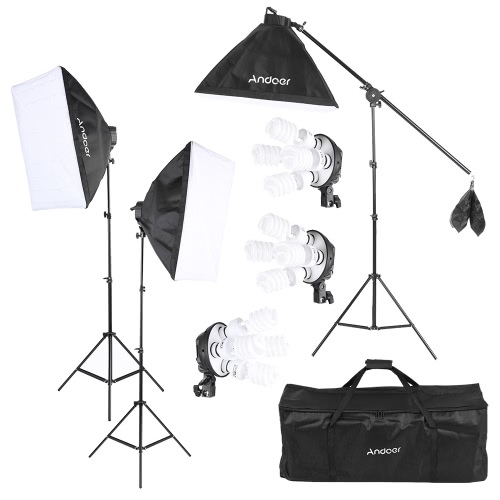 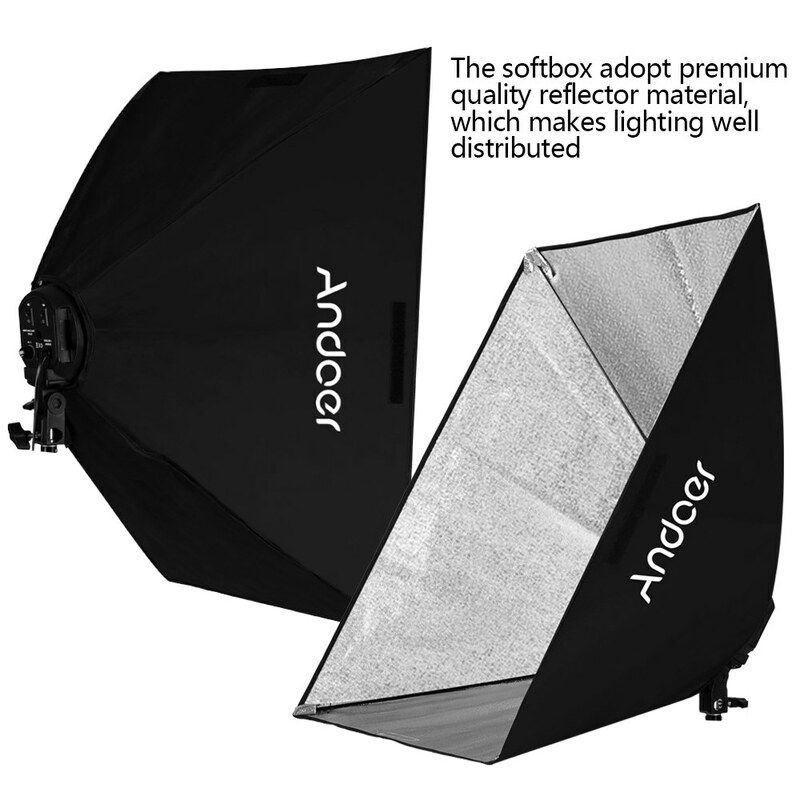 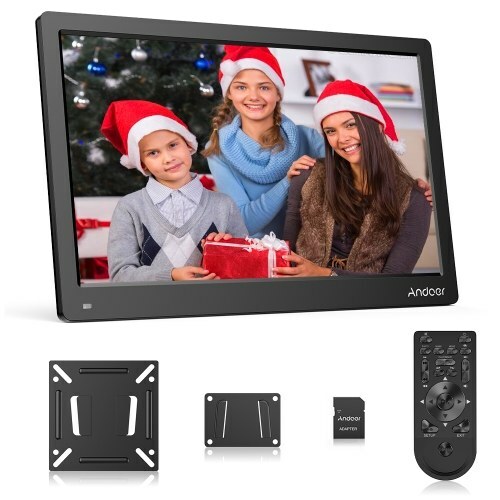 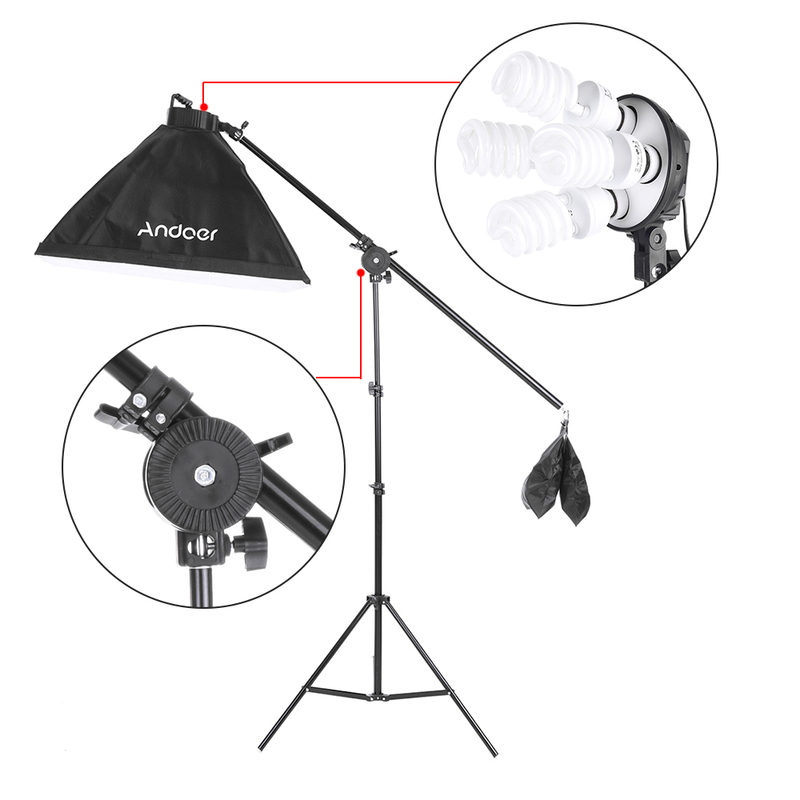 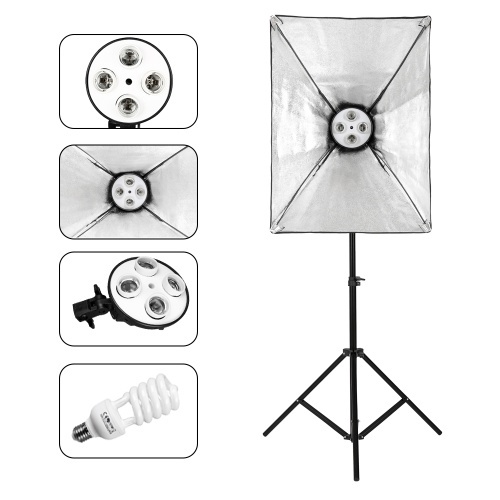 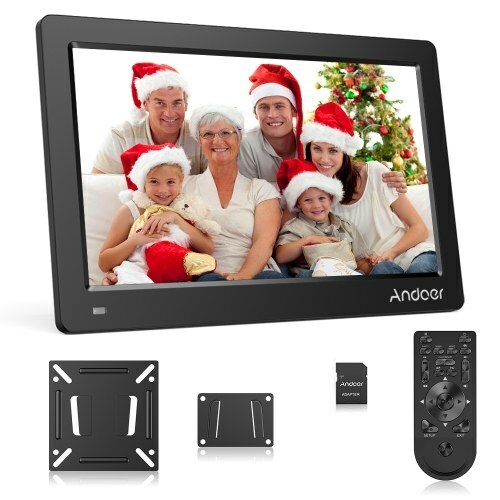 Andoer photo studio lighting kit includes softboxes, cantilever stick, light stands, 4in1 bulb sockets, bulbs, backdrops (Black & White & Green), backdrop stand, spring clamps and an Andoer carrying bag, good partner for studio photographers. 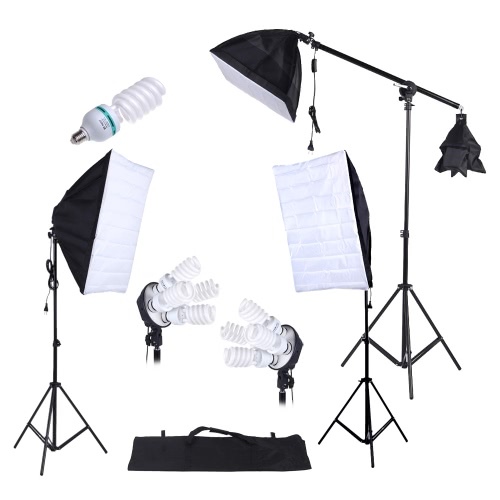 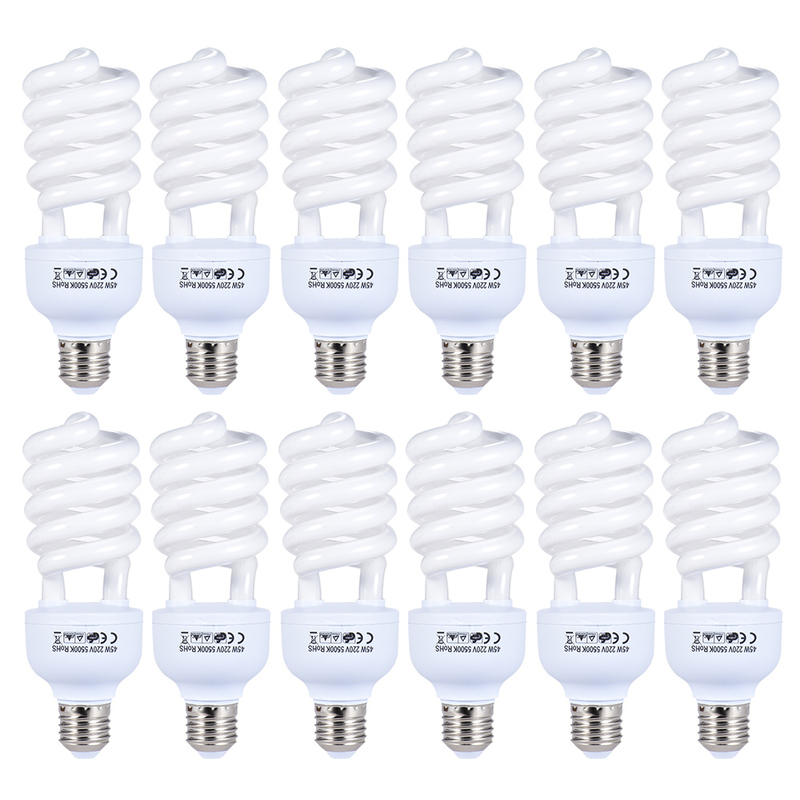 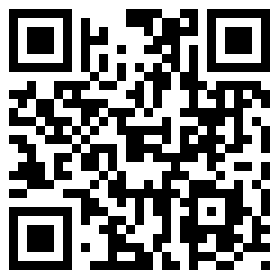 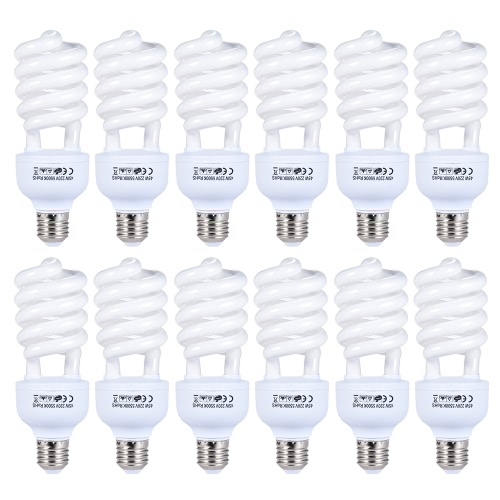 12pcs 45W professional photography light bulbs, 5500k color temperature, super bright to provide optimum illumination. 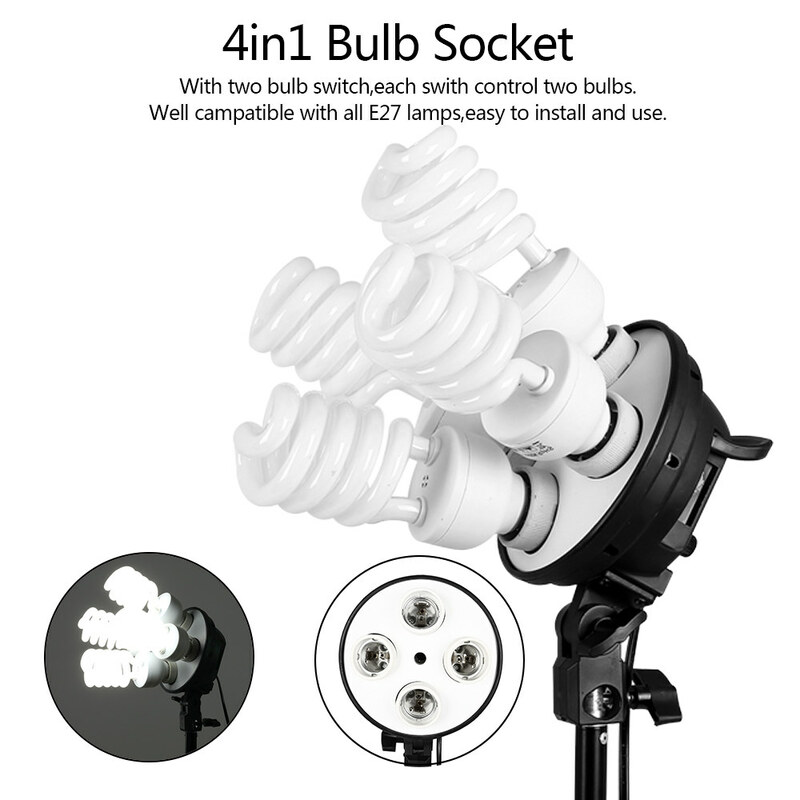 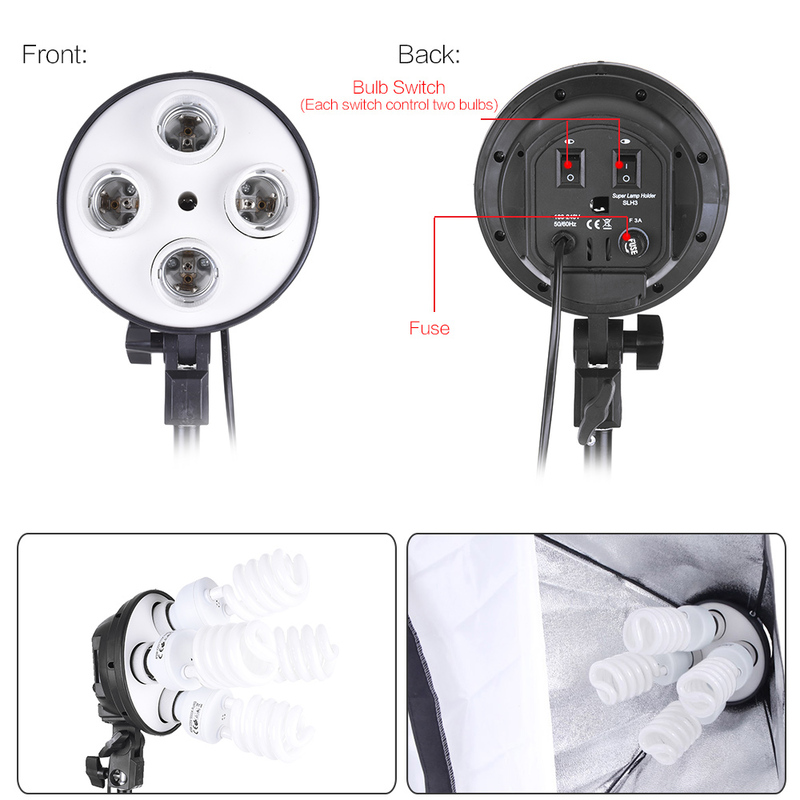 4in1 bulb socket allows you to install 4 bulbs in only one socket, 2 control switches allow you to create different brightness. 50*70cm softbox helps create even and diffused light, soften the light stream and remove shadow. Light stand is made of aluminum alloy, very durable. 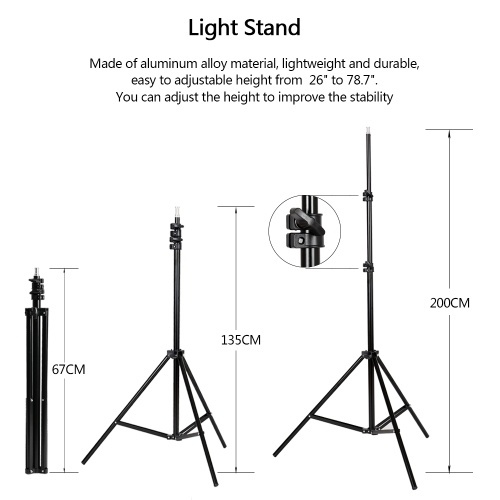 Its working height can be easily adjusted. Max. 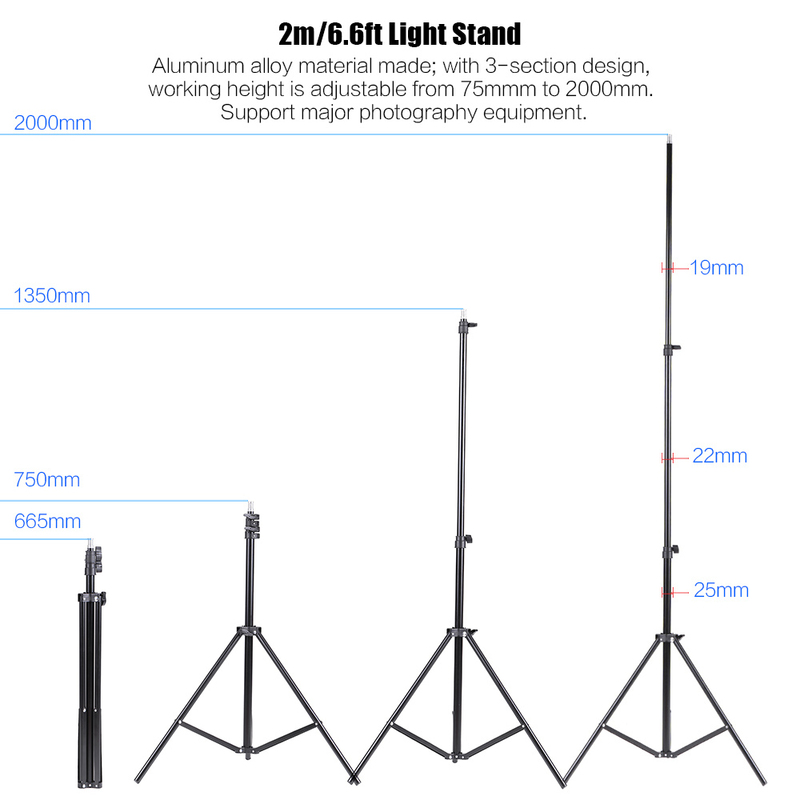 height is up to 2m. 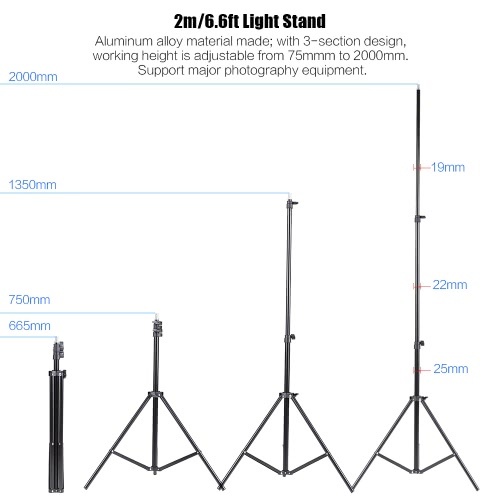 Cantilever stick is adjustable from 75cm to 139cm, convenient to arrange lighting. 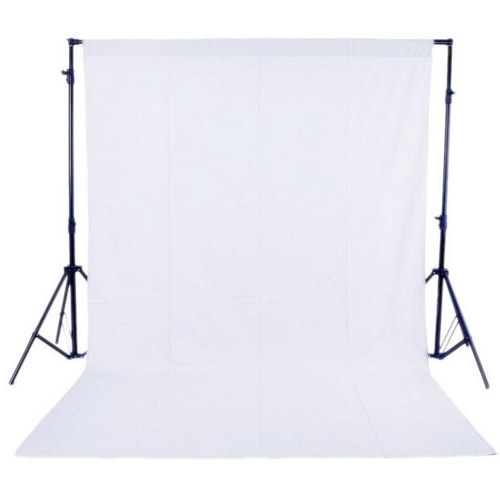 1.6m*3m black, white and green non-woven backdrops, large enough for most photographic occasions, great for studio and portrait shooting. 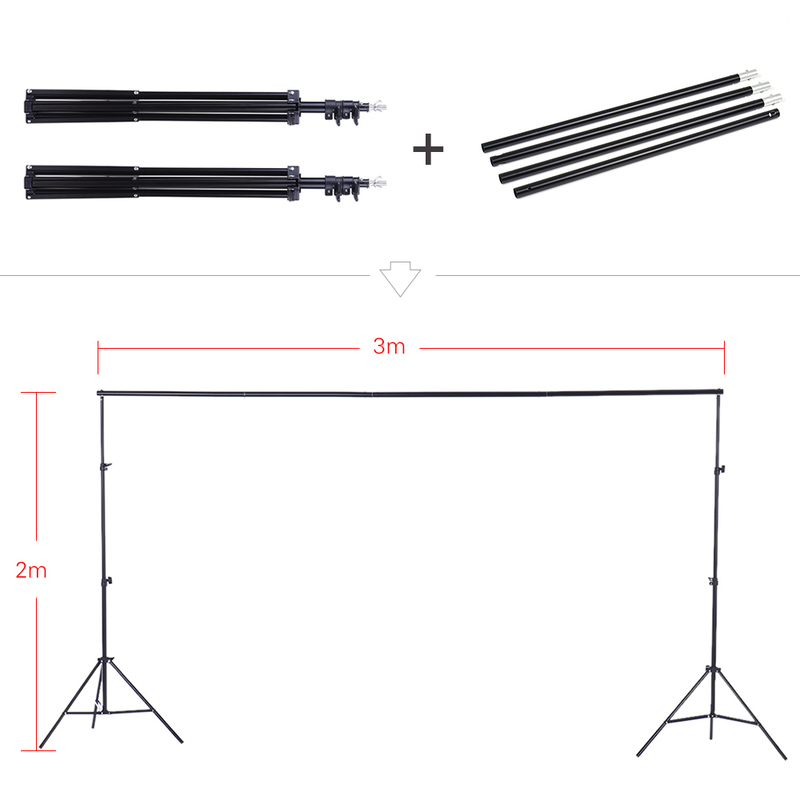 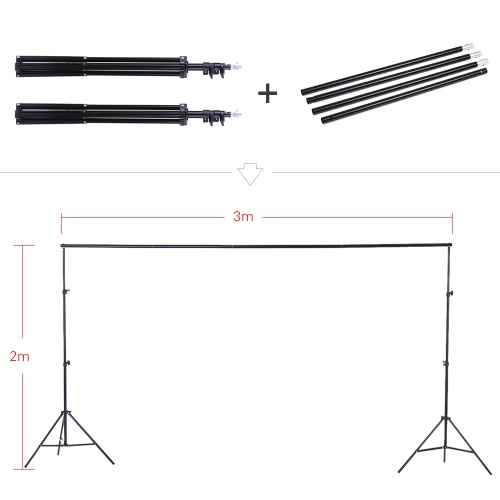 1 set of 2m*3m backdrop stand is made of high quality aluminum alloy, Its stands use quick locks and Its crossbar consists of 4 separate sticks, making it simple to adjust the height and the width. 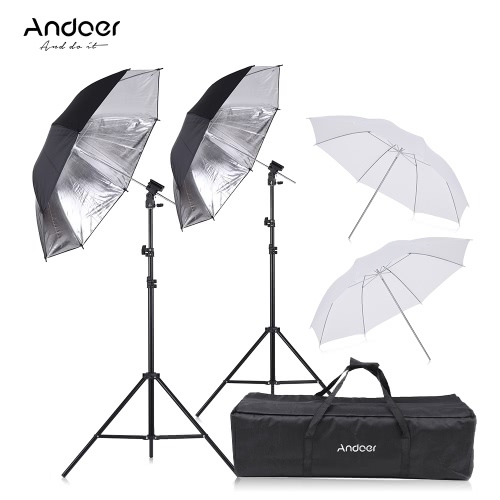 Comes with 3pcs spring clamps and 1pc durable Andoer nylon carrying bag.